Lead generation is one of the highest priorities of business-to-business marketers. It has consistently been at the top or very near the top of the list of priorities for B2B sales and marketing leaders for the last decade. There is some good news and some bad news to this. In bad news, companies make a lot of common B2B lead generation mistakes. And in good news - these mistakes are relatively easy to fix. When B2B companies prioritize lead generation AND they fix the most common lead generation mistakes, they see dramatic results. 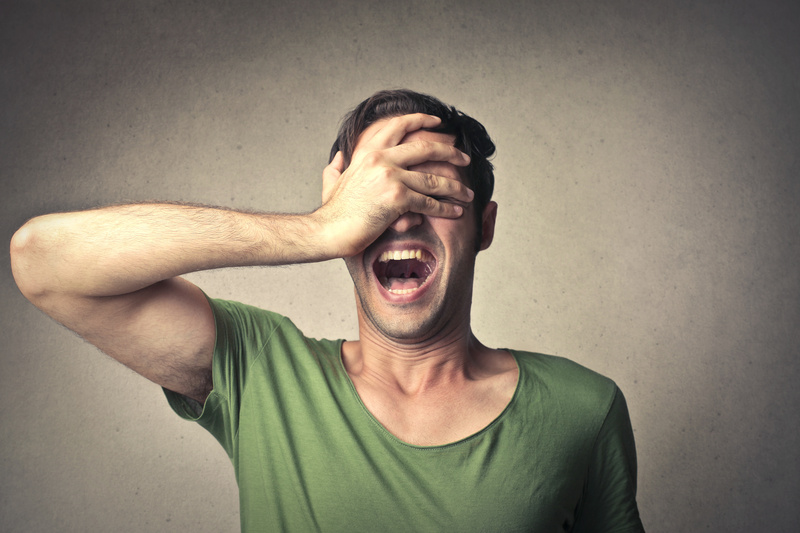 Here are the 5 most common B2B lead generation mistakes - and how to fix them. Have you ever had an interaction with a company where you explained your situation to a salesperson, only to be handed off to another salesperson and have to explain the whole situation again? Probably, because this has become common in the last few years. It's called ‘friction’ in the sales process, and it’s been happening more lately because - in the name of efficiency - many companies have segmented their sales process into various stages with different people handling the different stages. One person to screen you, another person to handle the sales process, and potentially a third to negotiate the specifics of your contract. This is efficient for the seller, but it's terribly inefficient for buyers. And that's bad in B2B because high-value B2B buyers don't expect to be tossed from salesperson to salesperson like a baton on a race track. There are two ways to fix this lead generation mistake. The first is to put an experienced sales person in charge of each lead, and work that lead from beginning to close. Companies who have low-volume and high-value leads, and a rapid screening process that allows sales people to quickly score and disengage with leads that do not meet company criteria, can do this. The second way to fix this lead generation mistake is training and communication between multi-person sales teams. Many tech companies successfully combine 2-person sales teams, with one junior and one senior sales person. If the company has a rigorous sales process, strong sales management, low staff turnover and excellent communication processes, this works. Mature B2B companies easily fall into making this mistake. It's understandable, because ten years ago it was fine to respond to a lead in 2 or 3 days and take a week to prepare a quote. So sales reps who have been in their roles for a while are operating with the mindset that waiting a few days on a lead is fine. But those days are gone, and younger companies bring a more responsive approach to handling leads. Which means more experienced sales teams need to change their behavior. 74% of buyers choose to work with the rep who is the first to add value. So if you have something to say, and you say it first, you're 3 times more likely than the next sales rep to win the business. B2B companies need to strike a balance between lead generation and brand activities. Because B2B is a trust purchase, it's easy to scare off leads if your company is too aggressive in lead generation and doesn't have enough brand presence to back it up. It's like coming on way too strong and too early in a romantic relationship. A B2B company that is unknown in its market and has a limited track record always has a hard time growing quickly. No B2B buyer wants to be the first to trial a company (and fail), so buyers wait to see some credibility before they'll buy. B2B leaders don't like this answer, but the reality is that it takes a combination of lead generation and brand-building activities to be successful. Too much lead generation, in the absence of brand-building, is a recipe for wasting a lot of time and money. They are the worst. And yet many sales people default to them because they’ve failed to confirm a follow-up process for a specific point in time to discuss a specific action or event. These kinds of emails put salespeople in an order-taker position rather than a trusted-adviser position. And they give the receiver no reason whatsoever to respond, other than courtesy – which is in short supply in the modern work world. The way to avoid 'check in' emails is to establish a next step that will be originated by the sales person at a specific point in time. That way, the communication is expected by the receiver, and they've implicitly confirmed they'll respond to it. It's also important for sales people to add value during every interaction they have with buyers. One way to do this is by having a 'Top Ten Resources' list for the sales team. When communicating with prospects, they can choose the most relevant resource to send to each prospect and send it as part of their communication. The sales cycle is slowing down, and has more people than ever involved in the buying decision. As a result, many prospects are not ready to buy - even though sales people wish it was otherwise. For companies that are doing a lot of lead generation activity, there will be a need to nurture a lot of leads, and this isn't a good use of the sales team's time. There is an easy fix to this. Your marketing team. One of the primary jobs of marketing is to nurture leads until they are in a sales-ready state. Read Why Every Company Needs A Lead Nurturing Plan for more details on why and how to use marketing to nurture leads until they're ready to buy. Lead nurturing is too high a priority and represents too much of the budget of B2B companies for it to under-perform. Fix these 5 most common B2B lead generation mistakes and watch your lead generation results soar.